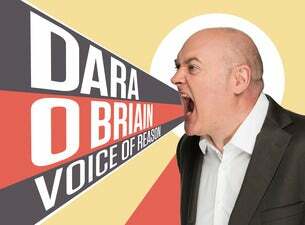 Dara is one of the most recognisable faces on British TV, as host of the hugely successful Mock The Week, Star Gazing Live, Robot Wars and Go 8 Bit. Catch one of the most charismatic, intelligent, fast-talking and downright funny live performers working today in this brand-new show. After his victorious and sold-out runs in Antwerp and Brussels a few years ago, the Belgian crowd can start preparing itself again for a night of brilliant comedy. Fueled by interaction with the public, not one show is ever the same, so make sure not to miss Dara live!